Take action for clean air now! Three hundred million people suffer from asthma worldwide, and its costs to our kids, families, and society are growing. To kick off Asthma Awareness Month, the Global Initiative for Asthma is raising awareness about asthma by launching a campaign to reduce asthma-related hospitalizations by 50 percent in five years. But we also need to reduce exposure to conditions that aggravate asthma and trigger asthma attacks. The EPA’s Mercury and Air Toxics rule was posted to the Federal Register this week, kicking off a 60-day period for public commenting. Please submit a public comment to the EPA in support of strong air toxics rules here, urging further action to clean up our air and thanking them for their proposed safeguards. A big part of controlling asthma means cleaning up our air. High and growing asthma rates across the country, particularly among young children, the elderly, minority, and low-income populations, leave more people vulnerable to air pollution. Our air is much cleaner than it was 40 years ago, but it is still not clean. Approximately 159 million Americans live in areas that violate clean air health standards. Environmental Protection Agency, or EPA, scientists and health experts must be allowed to establish and enforce safeguards to protect asthma sufferers and others from air pollution. In this column we’ll look at asthma in the United States, the conditions that make it worse, and how the EPA’s proposed power plant air toxics standards will help those who suffer from asthma and protect other Americans from air toxics. You can help support the EPA’s proposed standards by clicking on the “take action” links and publicly commenting on the rules. The Asthma and Allergy Foundation of America finds that every day in America, 40,000 people miss school or work due to asthma, 30,000 people have an asthma attack, 5,000 people visit the emergency room due to asthma, 1,000 people are admitted to the hospital due to asthma, and 11 people die from asthma. Doctors are still uncertain about what causes asthma. Genes and environment may both play a role. But is very clear what worsens it: dirty air. Asthma rates are higher in places with bad air quality, and though asthma has no known cure it can be controlled by limiting exposure to asthma triggers such as smog and particulate air pollutants. Poor air quality caused by exhaust from cars, factory emissions, smoke, and dust can aggravate the lungs and can worsen chronic lung diseases, according to the EPA. Coal-fired power plants are also a big part of the problem. Power plant pollutants are a well-known trigger, as is smog. Air pollution makes asthma worse for those who already have it, increasing the likelihood of an asthma attack, hospitalization, or death. Pollutants associated with power plant emissions have been linked to a variety of respiratory problems including irritation of the airways, difficulty breathing and decreased lung function. In general, the effect of pollutants is more severe among persons with preexisting respiratory diseases such as asthma and chronic obstructive pulmonary disease (COPD); persons with cardiovascular disease; and among older adults and children. Epidemiological studies surveyed in this report consistently find correlation between particulate matter and increased morbidity and mortality, specifically increased hospitalizations for asthma. A localized study on two Massachusetts coal-fired power plants linked plant emissions to “more than 43,000 asthma attacks and nearly 300,000 incidents of upper respiratory symptoms per year in the region,” estimating 159 premature deaths per year from these power plants’ pollution. Nationwide, particulate pollution from power plants has been recently estimated to kill approximately 13,000 people a year. Not all air is created equal, either.Over half the nation’s populationlives in areas with bad air, and these people are all at significantly higher risk for asthma attacks and other health problems. These disparities break down along geographic, race, and income lines. The risk of premature death from fine particle pollution is also increased with low socioeconomic status. More than 72 percent of African Americans live in counties that violate federal air pollution standards, compared to 58 percent of white. The proportion of Asian and Pacific Islander and Hispanics who live in counties where the particulate levels are high are about double those for any other racial and ethnic group. A recent report by the Centers for Disease Control and Prevention shows that African-American children have the highest number of asthma attacks among all ethnic groups. More than 71 percent of African Americans live in areas that fail to meet one or more of the EPA’s air quality standards. Latinos are also disproportionately affected. In a CAP report on why the EPA is important for Latino families we highlight the devastating consequences of dirty air for this group. Fully 66 percent of U.S. Latinos—25.6 million people—live in areas that do not meet the federal government’s safe air quality standards. This translates into worse health and shorter life spans: Latinos are three times as likely as whites to die from asthma. Latino children are also 60 percent more at risk than white children to have asthma attacks. These unsafe environments cause crippling health disparities. They are also coupled with the fact that communities of color are the least likely to have health insurance and access to treatment and preventive care. Asthma is one of the many reasons we need to clean up our air. We must take action to protect our air for the sake of American health and economic stability. The EPA took a critical step toward cleaner air on March 16, 2011, by proposing its first-ever air toxics standards for coal-fired power plants. The proposed rule would limit emissions of mercury, arsenic, and other air toxics from power plants for the first time. These were called for in the 1990 Clean Air Act amendments. But they haven’t been implemented, and they are long overdue. Toxic mercury, arsenic, and 84 other pollutants have been spewing uncontrolled from power plants even though we fully know how bad they are. Adoption of the air toxics rule will prevent approximately 17,000 premature deaths, 120,000 asthma attacks, and 12,000 hospitalizations and emergency room visits every year, according to the EPA. It is essential in limiting some of the key pollutants that aggravate asthma. Our central benefits estimate exceeds costs by a factor of more than 30 to one, and the high benefits estimate exceeds costs by 90 times. Indeed, our air has gotten better. The American Lung Association just released The State of the Air 2011, finding both progress and significant room for improvement. But 1 in 17 Americans still live in places with dangerous levels of ozone as well as short-term and long-term particle pollution. And a whole host of poisonous toxics continue to spew unchecked from power plants across the country. People living closest to these plants, especially children, seniors and those with chronic disease, face the greatest risk, but it doesn’t stop there. Pollution from coal-fired power plants takes flight and travels far into other states—threatening public health. 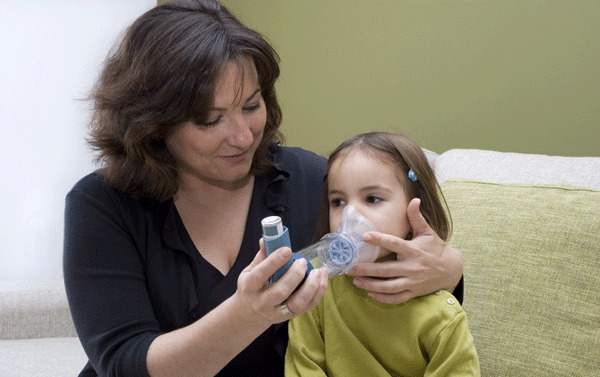 We’ve made progress cleaning up our air, but asthma rates are on the rise. Without common-sense regulations that should have been in place years ago hazardous pollution is still being allowed to fill our air and lungs. The recent attempts by House Republicans to handcuff the EPA are threatening both decades of public health progress and the further action we need to clean up the air, which will lessen the burden of asthma and other health problems. The EPA’s proposed air toxic standards and their other ongoing efforts need to be defended both before the EPA and in Congress. Recent and ongoing attempts to severely weaken the EPA, such as the House bill H.R.1, the Upton-Inhofe bill, and several anti-EPA amendments, indicate a growing onslaught of attacks on clean air. The result [of the original Clean Air Act] is saved lives and improved quality of life for millions of Americans. But the job is not finished. Communities across the nation still suffer from poor air quality. Low-income families face the impacts of toxic air pollution every day. From smog causing asthma attacks to toxic mercury harming children’s neurological development, far too many people face a constant threat from the air they breathe and the impacts of climate change. Conservative groups recently touted improved air quality while ignoring how it happened. The Clean Air Act gave EPA the responsibility and authority to develop and enforce significant pollution reductions. Many big emitters opposed the law and rules, but they were actually significantly cheaper and easier to implement than predicted. Though conservative leaders, Big Oil, and their congressional allies are gearing up their attacks on the EPA—threatening to abolish it or restrict its rulemaking authorities—they cannot deny the evidence of its historic successes. The EPA and its proposed rules currently underway must be implemented to protect our health, economy, and climate. Special thanks to Emily Bischof. Susan Lyon is a Special Assistant for Energy Policy and Jorge Madrid is a Research Associate for Energy Policy at American Progress.